These economically priced shatterproof ornaments are our most popular holiday ornament this year and feature a stylish, flattened design. Holiday ornaments make lasting mementos your clients will keep pulling out each year. Add organza bags to your order for a lovely gift presentation! Production time normally runs 5-8 days, but may be longer during peak seasons. Exact color match is not guaranteed. Lineart is recommended. Allow for a .125" separation between imprint colors. Ornaments are packaged in a polybag. Product colors are approximates. If color is critical call for samples. Ink colors appear different when printing on any product other than white. It is different than the usual round ornament. I chose this because of the cost more so than anything else. I like the design and the color options! Durability - we ship hundreds of packages a day and want to include these at the holidays, hoping they survive in our orders. For the minimum order, can we get the same imprint on different colored ornaments? BEST ANSWER: For this item, yes. As long as the artwork and ink color is the same on all pieces, you can choose the ornament color assortment of your liking. Yes. Our ornaments were awards for a running race, so we split the order in thirds. First place got red, second got blue, third received green. BEST ANSWER: Yes, made of shatterproof plastic, these ornaments are designed to be durable and long lasting. Can you get a decorative box (versus simple bag) for an additional cost? BEST ANSWER: Yes. The options for this are polybag, organza bag, brass stand or gift box. Do these ornaments come with hangers ? And if so are they attached? Can something be printed on the back side? Logo on front side and text on the back side? BEST ANSWER: Yes, this can be printed on two sides with different artwork. Product turned out great but the five stars is for the customer service. Shana was my point of contact and helped get my order started ASAP and delivered on time during the holiday season. Repeat customer for future needs. Hi Daniel, thank you for your positive review! We are so glad you are pleased with the ornaments, and we look forward to working with you again on your next project! We will definitely pass your praise onto Shana, as it is always appreciated. The service, quality, and imagine clarity of the specialized ornament was outstanding. Definitely a keepsake for years to come. Hi Charmane, thank you for your positive review! 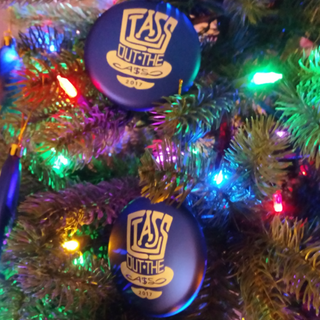 We are so glad that these ornaments have been such a hit! We look forward to working with you again on your next project. I reached out to Jim with PrintGlobe a few weeks before Christmas for an ornament to give out employees, and with his help and fast turn around got these beautiful ornaments in plenty of time for the holidays. They are well made and sturdy, and our staff was thrilled to get them. Would recommend this product. Turned out so cute and everyone loved it!